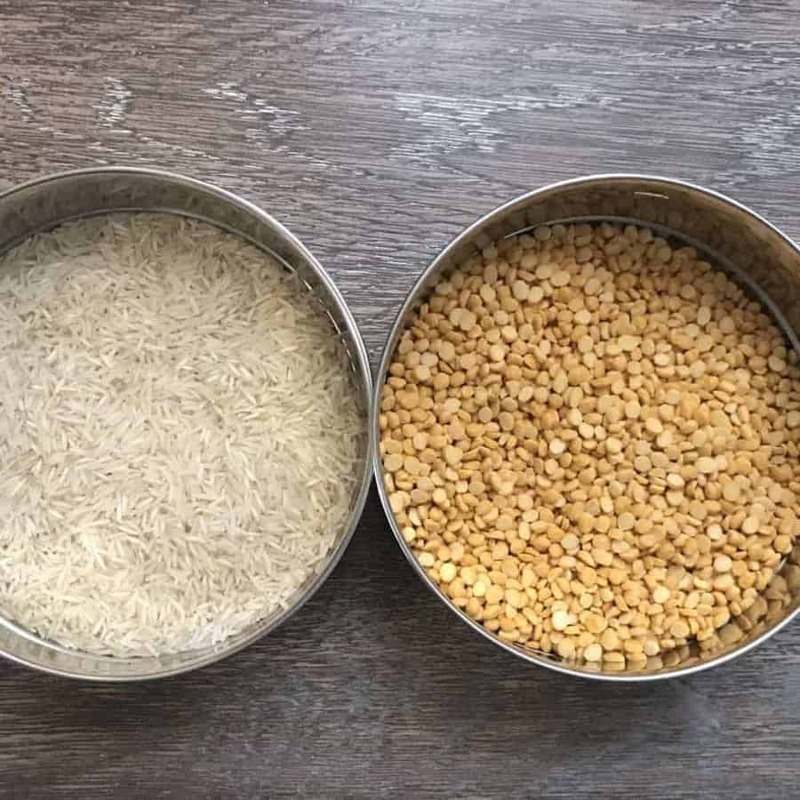 Learn how to make Rice and Chana Dal together in one step in your pressure cooker or Instant Pot. When I learned how to cook, at every meal, we used a Instant Pot with three stackable pans. Bottom pan held the daal, middle pan held the rice, and the top pan often had a vegetable you were steaming or a potato or beets for a side vegetable or raita. I don’t know why I didn’t try that in my Instant Pot here. Once the Instant Pot was done, you could take the cooked dal and finish it in pan on the stove, and finish the steamed vegetable the same way. I was planning to make Chana Dal today, and serve it with rice, and I decided it was time to do this the old fashioned way again, and make them at the same time. So with this recipe, the rice is ready to go. But the Chana isn’t quite. You still need to do something with it, and what you’ll do is make Chana Daal Fry out of it using this recipe. LOOKING FOR MORE DELICIOUS INDIAN RECIPES? TRY OUT MY INSTANT POT SAMBAR! Here’s how you do the PIP. 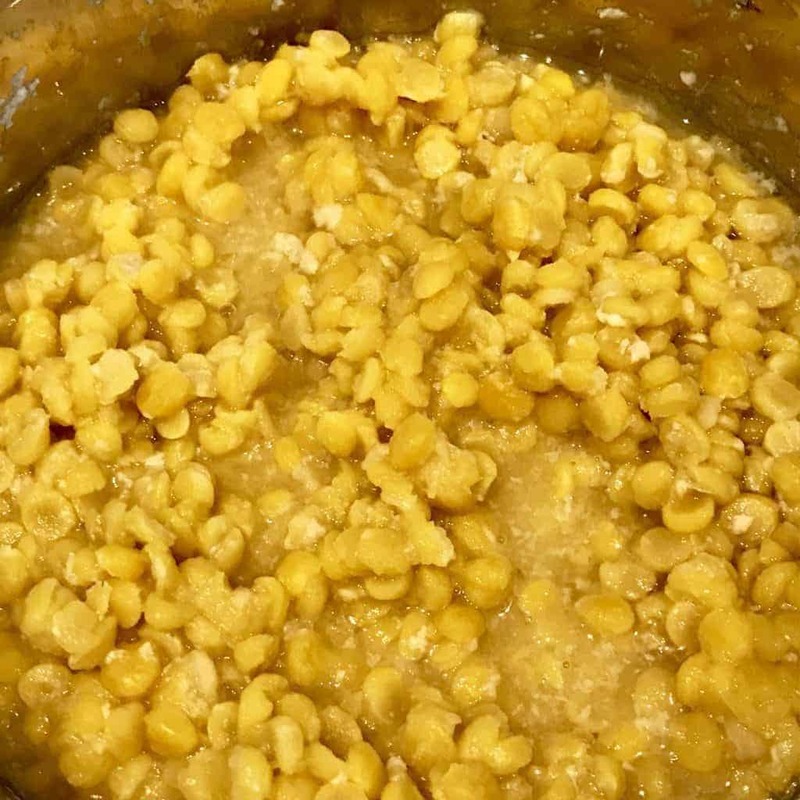 Rice and Chana Dal is a delicious Indian dish you can cook in your Instant Pot. With the help of 2 stackable pans you can cook all the ingredients at once! Find two nesting containers that fit on top of each other. 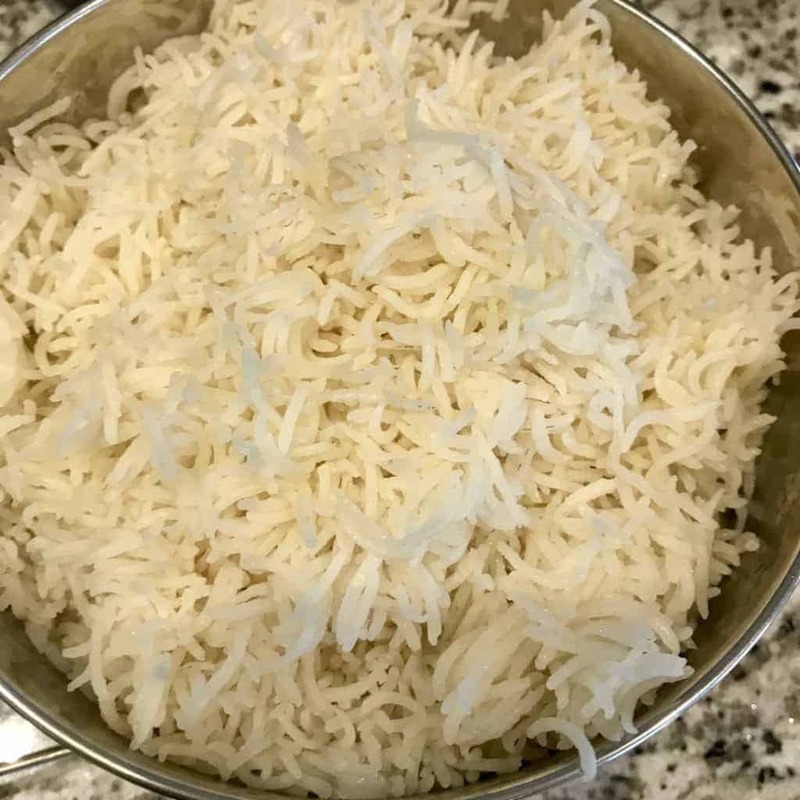 Place the rice in the smaller container and rinse. Add 1 1/4 cups water, ghee, and salt and set aside. In the larger container, place the rinsed chana dal, 2 1/2 cups water. In the Instant Pot, place a trivet and then pour in 2 cups water. I had to take the trivet that comes with the Instant Pot and turn it upside down, so it wasn't so high. Using either a silicone band or a foil sling, place the two containers on top of the trivet, with the dal below and the rice above. Cover the rice container loosely with aluminum foil and crimp the edges to lightly seal the rice. Cook at high pressure for 6 minutes, and let it release pressure naturally. Perfect rice, and chana ready to be cooked into something delicious. if I double the recipe do I double the time also ? No you don’t double time under pressure. When I tried to make this, the dal boiled over a bit and made a mess. Is there a way to prevent this? I was using two nesting pots that have a metal basket/carrying handles that kind of lock the two nesting pans in place. Everything turned out tasty otherwise! In my experience it’s better to have the rice on the bottom, dal has a greater tendency to boil over. In a regular pressure cooker I never cover the dal container, whether I’ve stacked it or am cooking only dal. Can you cool too dal with rice in the same way? What changes? Thanks!! Yes look up rice and dal recipe I posted last month. It’s so good and don’t even need to do the fry part if you don’t want. I’m new to instant pot cooking. I noticed your recipe for PIP for the basmatic rice is 1C rice and 1.25 C of water and your other recipe is just 1:1 ratio. Should the water be increased for PIP method? Thanks.